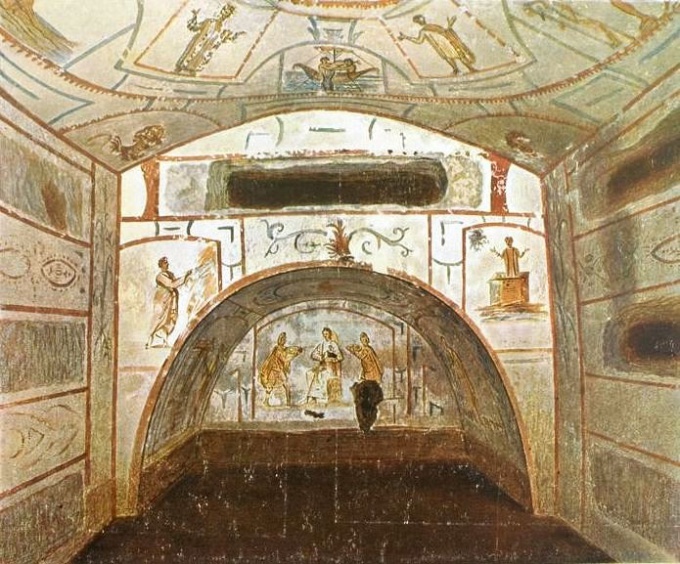 Symbolic images of Christians began to use in the time of the catacomb Church. It is believed that the characters played the role of secret signs by which believers could recognize each other. But each of these signs are filled with meaning. Christian symbols associated with Jesus Christ, crucifixion (atonement of sins) the sacrament of the Eucharist. In addition, there are images representing the Church, faith, immortality, purity, and other concepts. 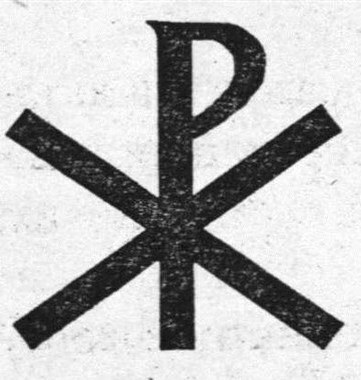 One of the types of characters associated with the Savior – the monogram of Christ. They are represented by several letters (usually fancy United), representing Jesus. "Ichthys" and ""Chi-Ro" - the most famous of them. The word "ichthys" is translated from Greek as "fish", often replaced the figure. Later came the monogram composed of the letters of the Latin alphabet. Savior symbolize and images. The most popular of them is the Good Shepherd. In the gospel of John Christ allegorically describes my role as the teacher with the words: "I am the good shepherd". As a shepherd cares for the flock, and the Lord cares about the faithful people. The lamb is also a symbol of the son of God. This image is associated with the notions of the cross the sacrifice the Savior. Later on the image of the lamb was replaced by the image of the crucified Christ. In the modern world the most important Christian symbol is the cross. In the Roman Empire building in the shape of a cross was used for punishment of slaves. Jesus was martyred, the innocent suffered for the sins of mankind. To commemorate this event, the believers carry on a breast a crucifix. Vine (bowl) and bread (ear) – the images associated with the sacrament of the Holy communion symbolize the blood and flesh of Christ. In addition, the vine represents the Church. "I am the Vine, ye are the branches," says Jesus to the disciples in the gospel of John. Among the Christian symbols many bird: a dove, a Phoenix, a peacock and a rooster. The dove represents the Holy spirit, the Phoenix the resurrection, the victory over death peacock – immortality (people used to believe that the body of the peacock does not decay), rooster – awakening to life, resurrection. Purity in Christianity, lilies symbolize. There is a legend that on the day of the Annunciation, the Archangel Gabriel appeared to the virgin with this flower. Rose is also associated (in the Catholic tradition) with virgin. The anchor is the symbol of stability, of firmness of faith. The anchor gives the ship to fall apart, and faith does not allow a person to go out of the way of salvation. The ship is in Christianity associated with the Church of Christ. It enables the believer to survive in a sea of worldly life. The temples often resemble ships.